On Friday & Saturday nights, reservations are only accepted for parties of 6 or more. Smaller parties may call ahead to be placed on a waiting list. 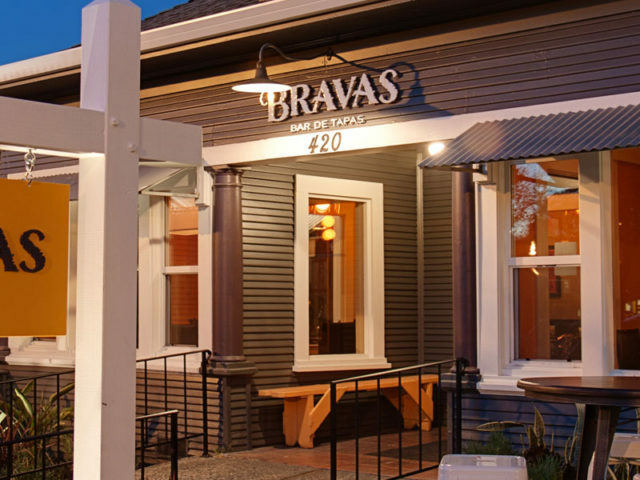 Bravas serves up traditional Spanish and modern tapas-style dining in Wine Country by James Beard finalists Mark and Terri Stark. Large plates to share, including paella. Bravas offers a selection of local and Spanish wines, sangrias, and Spain-inspired cocktails, including a variety of signature gin and tonics. 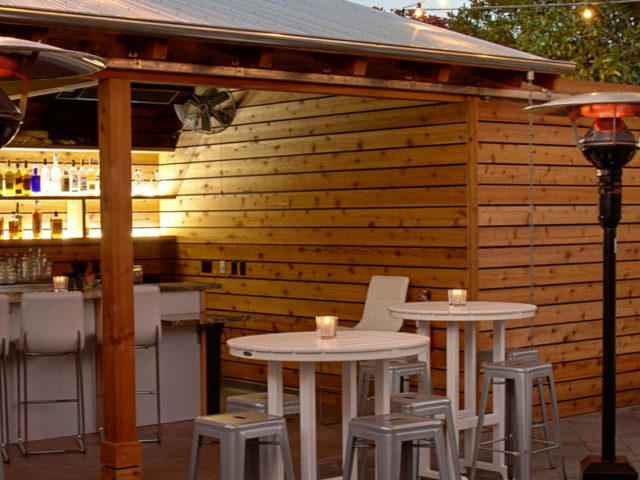 Dine indoors or out, year-round. Press Democrat "Best of Sonoma Country Awards: Best Chef Mark Stark"
We’re at 420 Center Street in Healdsburg, California. 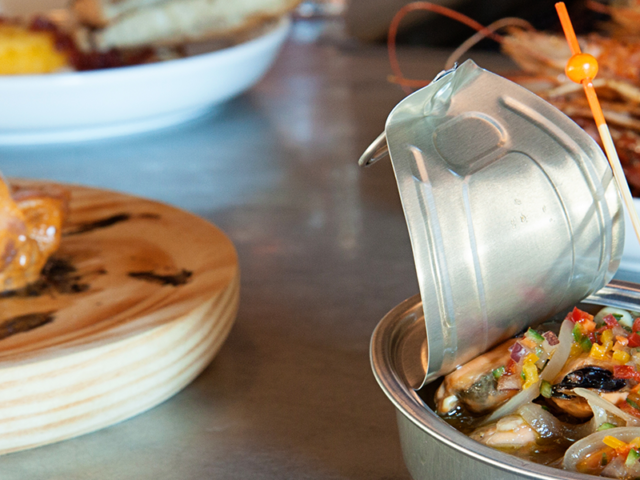 What kind of food does Bravas Bar de Tapas serve? 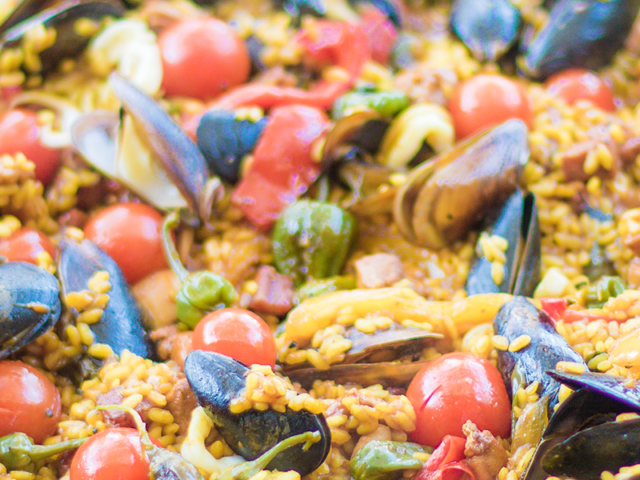 Traditional Spanish and Spanish-inspired tapas and large plates, including paella. We encourage reservations, especially on weekends. We take reservations by phone or online at Opentable.com. Our bar seating is first come first served. Yes. We have many options for vegetarians, gluten free, and will accommodate dietary restrictions. Please let your server know about any allergies or special requests. We have an extensive gluten free menu. Check it out online or ask your server for a copy. Yes, in denominations of $25, starting at $50. You can purchase them here and at any Stark Reality Restaurant, including this one. Gift cards are good at all of our restaurants. Here’s the full list: Bird & The Bottle, Monti’s, Willi’s Wine Bar and Stark’s Steak & Seafood in Santa Rosa, and Bravas and Willi’s Seafood & Raw Bar in Healdsburg. Who owns Bravas Bar de Tapas? 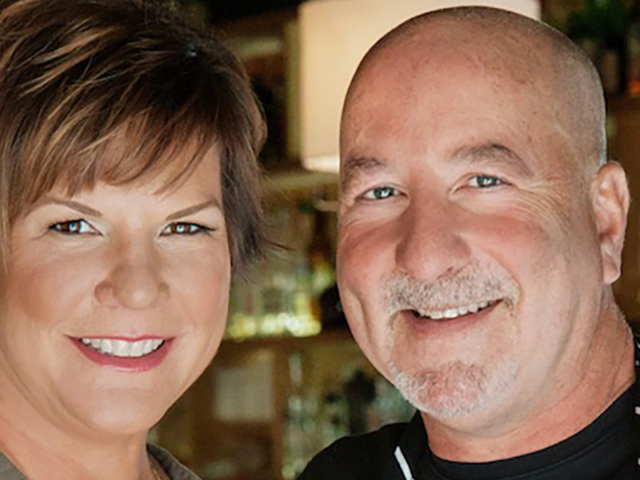 Mark and Terri Stark, Stark Reality Restaurants. What other restaurants do the Starks own? Bird & The Bottle, Monti’s, Willi’s Wine Bar and Stark’s Steak & Seafood in Santa Rosa, and Bravas and Willi’s Seafood & Raw Bar in Healdsburg. Mark Stark is the Executive Chef. Cody Thomasson is the Chef de Cuisine. There is ample, free on-street parking within easy walking distance. All major credit cards (Visa, MasterCard, Discover, and American Express). We charge $20 per 750 ml bottle for the first two bottles, $30 per bottle thereafter. Fees are waived for each bottle purchased, up to two bottles. How many seat does the restaurant have? 60 inside, 94 outdoors on the patio. Well behaved dogs are welcome for patio dining. How can I hear about special events? Subscribe to our email newsletter and check back to our News & Events page.